The horizontal placement of the Avelino in red color expresses movement with its sweeping curves. 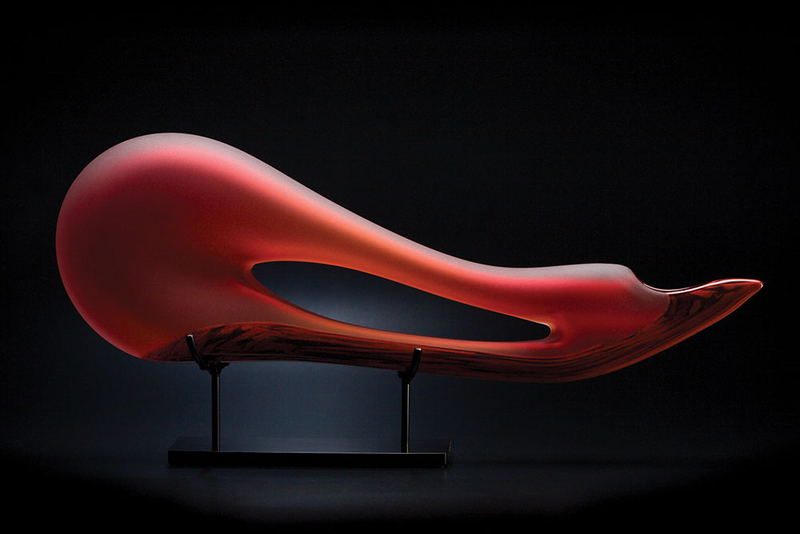 Achieving a translucent look in this glass sculpture, the surface has been sandblasted during the cold working process. The custom metal display stand is included.